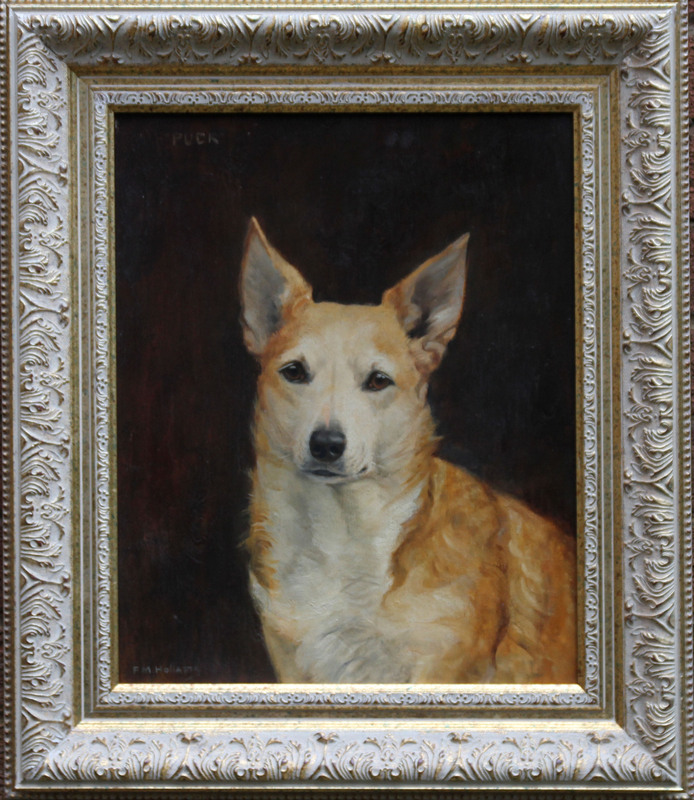 A fine oil on panel which dates to circa 1930 by noted British animal artist Florence Mabel Hollams. 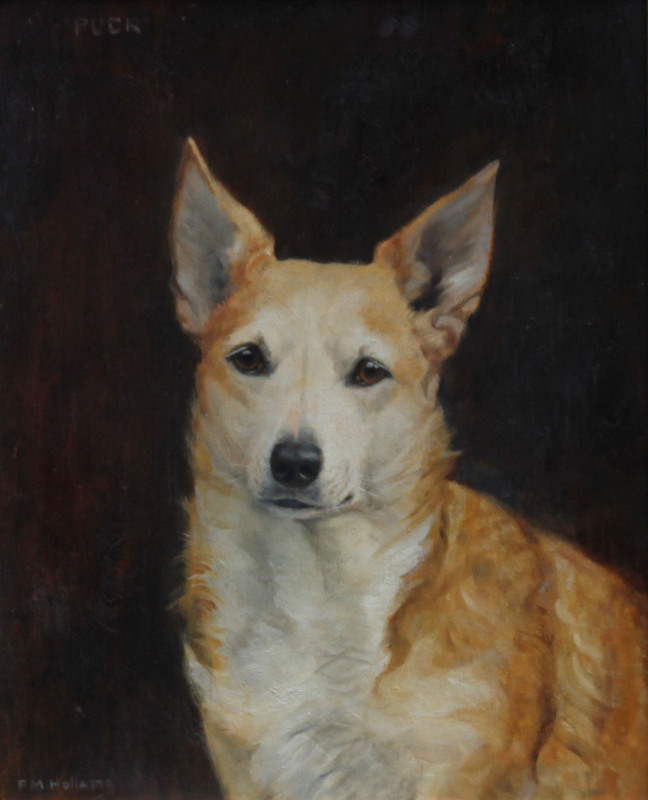 It is a super dog portrait oil painting which depicts a Welsh Cordi named Puck. A stunning painting. It is a fine period British realist oil painting by an artist who has works in many British collections. Framed in a fine gilt gallery frame 23 inches by 22 inches. In excellent condition. F. M. Hollams, (1877-1967). She is described by Stella Walker, in 'British Sporting Art in the Twentieth Century' London 1989 : 'Always a lightning artist, after looking at a horse for only five minutes and making a few sketches on pieces of wood in her paint box, the first picture would be completed by the end of another week'. Her chauffeur would apparently have been commissioned to collect samples of the horses manes and coats. Walker comments that Hollams 'had to compete with such outstanding exponents as Munnings and Lionel Edwards', but their respective styles were so different the comparison is hardly relevant. Hollams filled a need for lifelike reminders of treasured horses and dogs for customers who probably had little interest in art. The results have an almost iconic appeal, and represent a way of life that changed for ever after the first and second world wars, when the country piles, with stables full of horses, which she visited in her large car, started to decay and be sold off when their incumbents could no longer afford their upkeep. One of the best collections of work by Hollams can be seen at Calke Abbey in Derbyshire, the property of the National Trust.